With a certain type of buyer, and under certain conditions, selling a New Orleans home as is can be a mutually beneficial process, with unnecessary expenses and time-consuming steps eliminated. When you need to sell your New Orleans home quickly, selling it as is may attract more serious offers. Not every homebuyer is looking for a fixer-upper. Many want a home in move-in condition, requiring only quick, cosmetic repairs. If your house isn’t in perfect condition, does this mean that selling it as is will limit the number of viable offers you’ll receive? The simple answer is “not necessarily.” You may get fewer offers, but the ones you receive could very well be more serious. For some homeowners, selling a home as is might be the least stressful and most financially viable option for a variety of reasons. Some homebuyers can’t afford or aren’t willing to pay for a more expensive, fully updated home. With a certain type of buyer, and under certain conditions, selling a home as is can be a mutually beneficial process, with unnecessary expenses and time-consuming steps eliminated. It means what it sounds like: You are selling your home in its current condition, with all its existing issues. Before the sale, no upgrades, improvements, or repairs — big or small, inside or out — will be made. “As is” is a legal term, and selling in this condition doesn’t relieve sellers of their legal and moral obligations to disclose certain issues and answer potential sellers’ questions as truthfully as possible. Unfortunately, this can become complicated, especially if you aren’t living on the property and are not aware of all the issues. Real estate agents are bound by the Consumer Protection Act to disclose any serious defects that might steer a buyer away, but, typically the law requires that only serious issues be disclosed. Who buys houses in as is condition? 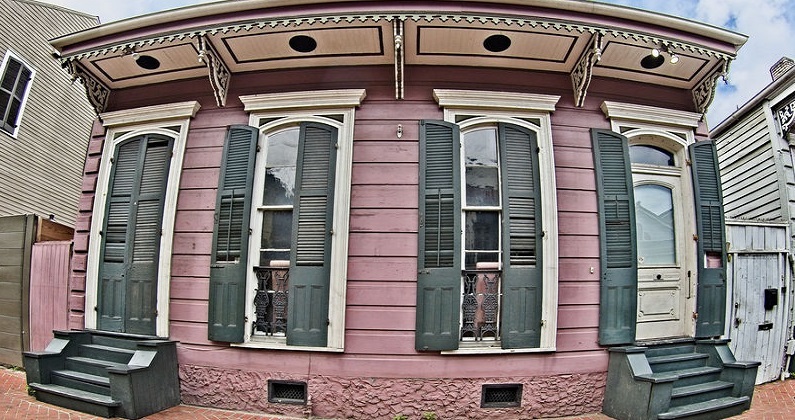 A homeowner who is considering selling a New Orleans home as is might wonder if the property will attract fewer buyers. Not necessarily. While it’s natural for a potential buyer to wonder what’s wrong with the house and whether you’re trying to conceal defects, you can manage expectations by being upfront and honest about the condition of your home. That way, you won’t drive away potential buyers — you will attract a certain type of buyer, one who isn’t likely to low-ball you. Before you come up with an asking price and list your house, we recommend taking a couple of steps to ensure a smooth transaction. Adjusting your expectations is a must because you probably won’t get market value, and you shouldn’t expect to get it. This is especially true if you haven’t made any upgrades in years, or your home needs serious repairs, like a new roof. In this case, the goal is not to make a killing but to focus on other priorities like ease of sale and bypassing some due-diligence steps. Also, be clear that you don’t want to negotiate about repairs (if you’re firm on that). Getting a pre-listing home inspection might be a good idea, to find out the extent of the issues, especially if you’re unsure what the asking price should be. Estimating the cost of repairs will help determine the asking price. You might also find it worthwhile to make a few repairs after all to fetch a higher price. Either way, identifying the issues and knowing how much it will cost to fix them will give you a better idea of what the house is worth. Ultimately, you may think that major home repairs are necessary to get an offer on your home, but that’s simply not true. You can begin the process of selling your home today, and you don’t have to go through an agent. All you have to do is contact Big Easy Buyers for a cash offer on the spot.